Details of all your treatments, test results, pathologies, allergies and other health information will be grouped together in one place in a bid to provide coordinated health care, particularly in case of emergency. By simplifying and securing the sharing of relevant health information, the DMP promotes coordination and quality of care between all health professionals, even in hospitals. After an experimental phase, the DMP is now available everywhere in France. It is not mandatory and has no impact on your medical reimbursements. Anybody with a social security number can create a DMP for themselves or for their dependents. The DMP is particularly useful for people who often use multiple care services, such as patients with chronic diseases, the elderly or pregnant women. How do I create a DMP? Online, directly from the DMP website. Once created, your DMP is accessible at any time from the My DMP section of the website or via the downloadable DMP mobile application for iOS and Android systems. Accessing your DMP is highly secure. Apart from you, only health professionals that you explicitly authorise can consult it. You can add or hide documents from one or all of the invited members, block healthcare professionals and delete authorisation. 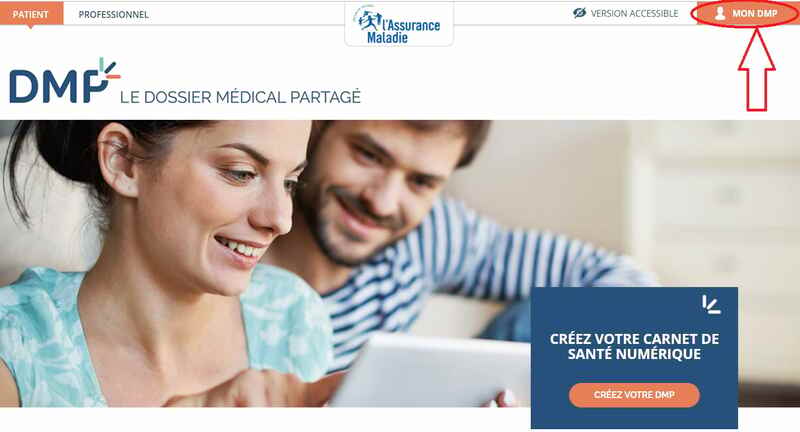 Only your médecin traitant (GP) can access all the information contained in your file. You are free to request closure of the DMP at any time, otherwise the data will be kept for 10 years.